GOG’s latest classic revival is Star Wars Episode 1: Racer. 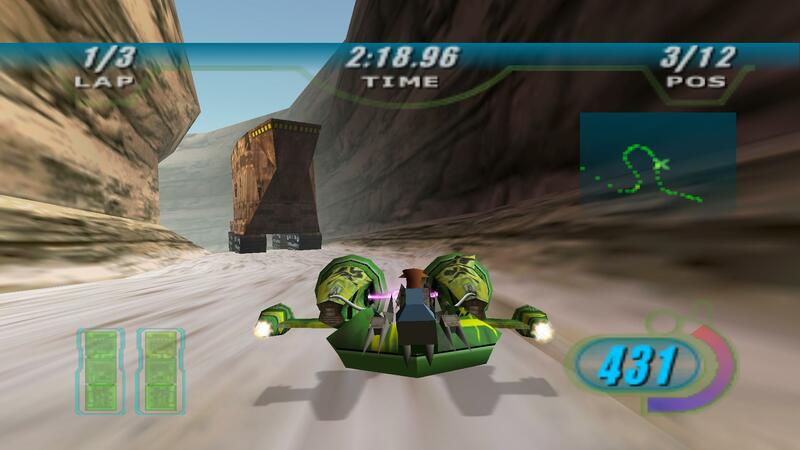 Star Wars Episode 1: Racer was first released in 1999 on PC and the Nintendo 64, but the PC version has not been touched since then. As is the case with many games of that era, it’s harder to get Racer running on modern operating systems, which is where GOG comes in. The game has now been given the GOG touch in this new re-release, which means it not only supports Windows 10, 8, and 7, it also supports 16:9 aspect ratios – meaning you can run it at 1080p and 60fps. It’s going to look a bit stretched given its original 4:3 format, but it’s in a much better state than the 1999 release. The new version also retains the LAN mode, which you can still play with up to seven other players, assuming you’re all on the same network. Star Wars Episode 1: Racer is available at GOG for $8.49, down from $10. That’s because it’s May 4 soon (get it?) and GOG is hosting a Star Wars sale. The sale has discounts of up to 66% off on games like Star Wars: Battlefront 2 (classic), Empire at War, Knights of the Old Republic, Jedi Knight, both The Force Unleashed games, and many more. Hit the sale page for the full list. The sale is live until Tuesday, May 8 at 3pm PT, 11pm BST. As always, all games are DRM-free, but you can use the GOG Galaxy app as a unified destination for all your GOG games.